When our children were young, they loved trying to catch the “helicopter seeds” that fell from our neighbor’s silver maple trees. Each seed resembles a wing. In late spring they twirl to the ground like a helicopter’s rotor blades. The seeds’ purpose is not to fly, but to fall to earth and grow into trees. Before Jesus was crucified, He told His followers, “The hour has come for the Son of Man to be glorified. . . . [U]nless a kernel of wheat falls to the ground and dies, it remains only a single seed. But if it dies, it produces many seeds” (John 12:23–24). While Jesus’s disciples wanted Him to be honored as the Messiah, He came to give His life so we could be forgiven and transformed through faith in Him. As Jesus’s followers, we hear His words, “Anyone who loves their life will lose it, while anyone who hates their life in this world will keep it for eternal life. Whoever serves me must follow me; and where I am, my servant also will be. My Father will honor the one who serves me” (vv. 25–26). 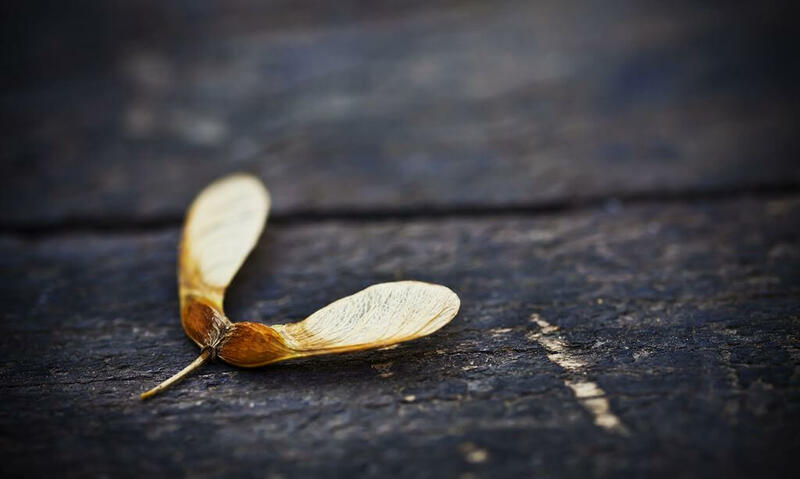 Helicopter seeds can point us to the miracle of Jesus, the Savior, who died that we might live for Him. Lord Jesus, we are amazed by Your love. Give us grace to serve You today as we long to do. Jesus calls us to give our lives in serving Him.